An Ankle sprain can result from tripping, slipping while walking, jumping, exercising. 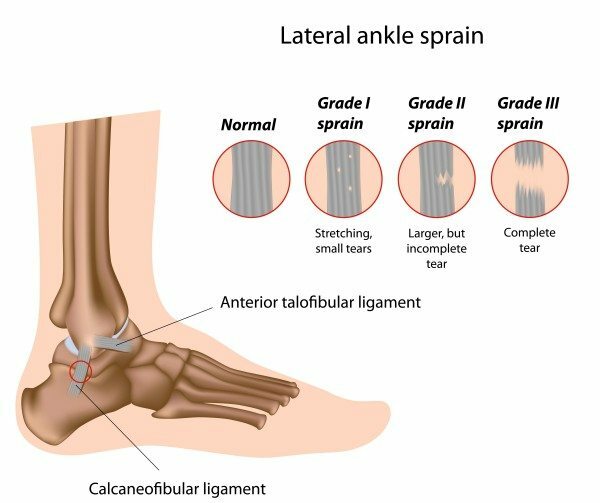 Ankle sprains occur as a result of stretching or tearing of the outer ankle ligaments. The outer ankle ligaments are generally not as strong as the inner ankle ligaments. Certain positioning of the ankle joint can render the outer ankle ligaments to stretch, tear partially or completely during an accident or a fall. The sprain may or may not involve bruises and swelling to and outer ankle and foot. Proper evaluation of the ankle sprain is desired so as not not miss complications such as nerve impingement or an ankle fracture, which could subsequently result in prolonged recovery or chronic lateral ankle pain. 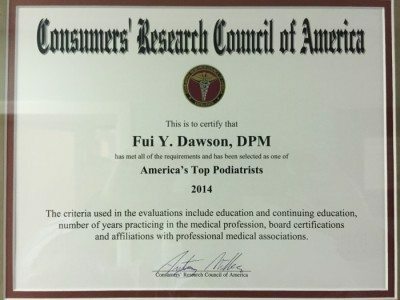 Your evaluation her at Advanced Foot & Ankle Institute of Georgia will involve accurate history and physical as well as assessment of digital xrays of your ankle to ensure that no fracture has occurred. occasionally, an ultrasound of the ankle joint and surrounding ligaments and tendons may be performed to further assist in your diagnosis. The course of your treatment may depend on the type of ankle sprain being assessed and the severity of associated injuries. Throughout your treatment, we will be with you every step of the way. Treatment of of sprained ankle involves resting the injured ligament so that it can heal well. This may be achieved with an ankle brace and elastic compression wrap to reduce swelling. Applying ice to the injured ankle, while elevating it may also help to reduce the extent of swelling and pain. Anti-inflammatory medications may also help reduce the pain and swelling of the sprained ankle. Effective treatment of lateral ankle sprain also involves physical therapy of the injured ankle over a reasonable period of time. Strengthening of the outer ankle ligaments and tendons, and other modalities may also be employed in your rehabilitation. Foot deformities such as supinated type or high-arched foot with inward tilting of the heel may render the ankle prone to being sprained. Depending on your foot structure, your feet may also be casted for fabrication of custom orthotics or other bracing device with appropriate modifications to reduce the propensity of further injury to the ankle. With proper treatment ankle surgery may be avoided. However, in the event that the injury remains chronic with continued pain, surgical repair of the ligaments and stabilization of the ankle may be performed. If you or someone you know has sustained an ankle sprain, you are encouraged to call us or book an appointment onliine for evaluation of the ankle pain. Our office can be reached at 678-679-3300.